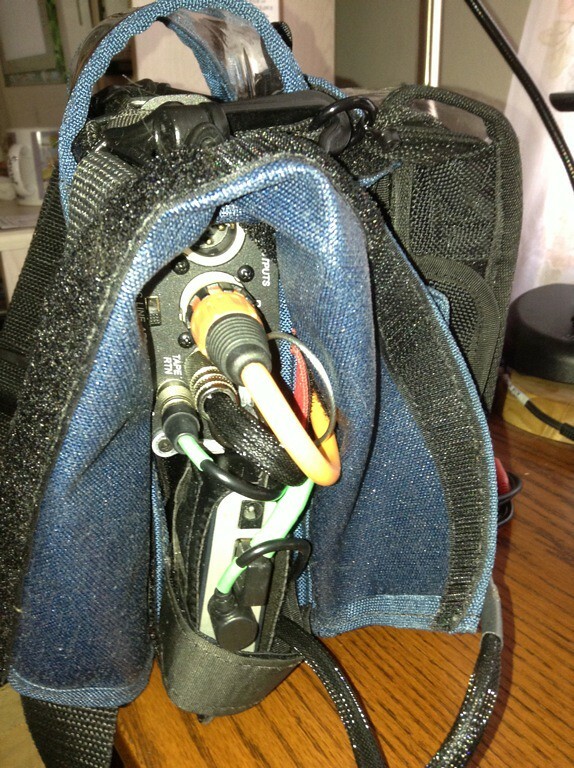 Nice looking bag Marc, I posted photos of my rig combo which uses Portabrace and Marantz cases strapped together in another tread. I used to use one Tekkeon MP3450 it had a dedicated 5V output to power the PMD661 and I would set the adjustable output to 12V to power the MixPre-D via the Hirose connector. 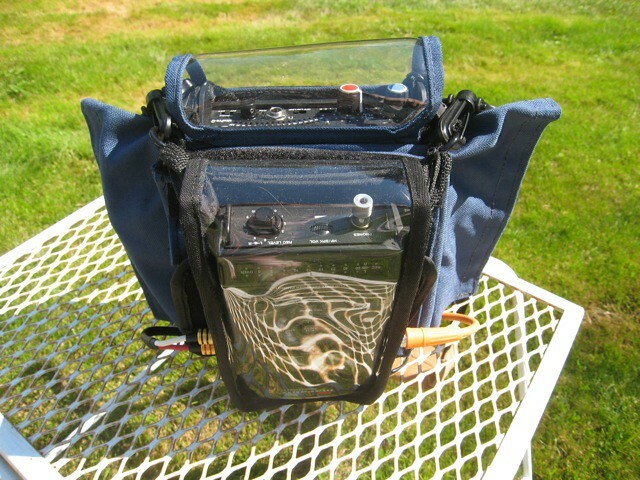 This battery powered both devices for several shows before needing a re-charge and fit easily in gear bag. Here's a photo showing the battery as mounted in the Portabrace bag and another showing the bags strapped together, provides gear protection, allows full access and viewing in a nice compact setup for the combo rig. After having a couple of Tekkeon failure(s) both in and out of warranty decided to make the jump up to a NP1 type battery solution. Yes, I see your bag. Nice so and probably more usefull to have a look on time-code for example. For Tekkeon MP3450, it's a good idea. I understand there is a fix output to 5V and another one variable (12V possible). Is it easy to wire a Hirose connector on the box side? For 5V , is the same connector for Marantz as for desktop ? You'll need to make or buy a Tekkeon cable to Hirose 4-pin power cable for the MixPre-D. You'll also need to make or buy a USB-A to 1.7mm I.D. x 4.0 O.D. power plug for the PMD661, best to use a beefy USB cable for this. I wouldn't necessarily recommend that a beginner attempt to make their own Hirose cable but go ahead if you have proficient soldering skills. Good dexterity, eyes and/or magnifier are certainly useful with Hirose 4 pin connectors. I made my own but if you're not up to it yourself get in touch with Ted/GAKables for these power cables. XLR-3 / RCA: OK but more tiny, I don't try. It's the reason why I bought the DV SQN-R , all is included. For 12V, I don't found a Tekkeon Hirose cable. Is there a specific socket on Tekkeon side (12v) ? If yes , is it easy to solder ? Why such a difference ?